Bengals are not a cat for just anyone they are very active and can be vocal. Do your research. 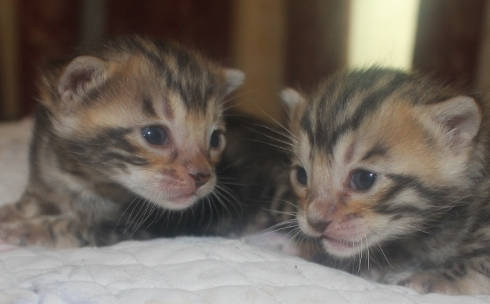 My kittens are bred too have the temperament of a loving domestic cat but keeping the coat pattern of a leopard. They are bred from healthy parents and sold with health guarantee 14 days infectious disease and 5 years for genetic problems. They leave here if sold as a pet desexed, vaccinated, microchipped with pedigree papers and care sheet and health guarantee.They are wormed regularly, litter trained. They are also raised within the home alongside ragdoll kittens and my french bulldogs. 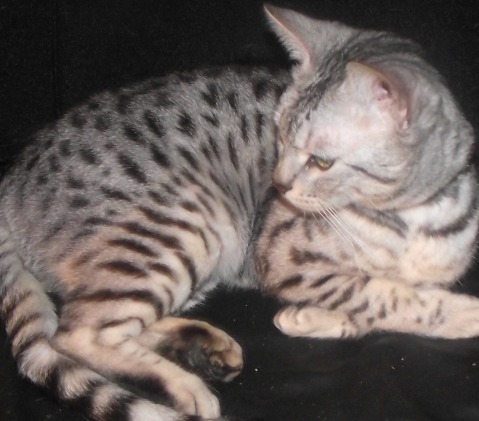 I am registered breeder with ANCATS - For more information about the breed and availability please visit my website or call.